Ju-Tian Eco-Material Co. was awarded a gold medal for a biodegradable drinking straw made from sugarcane, alongside 8 other medals awarded to Taiwanese inventors at the Concours Lepine in Montpellier, France on Oct. 14, reported CNA. Ju-Tian Eco-Material Co. was awarded a special jury gold medal for their environmentally-friendly straw, which is intended to replace plastic disposable straws, in the context of France’s announced ban of plastic straws in 2020. The Concours Lepine is an invention contest put on by the Association of French Inventors and Manufacturers since 1901, and draws in leading ideas and inventions from across the globe. 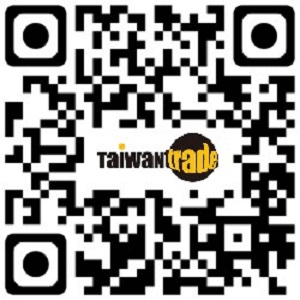 In total, Taiwanese inventors were awarded 2 gold, 3 silver and 4 bronze medals. 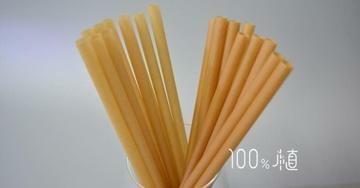 The straws are made from agricultural waste, are biodegradable, and contain no plastic. The company previously received international attention, and turned down buy-out offers from Chinese companies, reported Taiwan News. Ju-Tian Eco-Material Co. founder and inventor Huang Chien-chung attended the event and accepted the award. Taiwan’s other gold medal winner was Huixin Biomedical Technology, recognized for an essential oil diffuser. Silver medals were awarded to a nail-painting box designed by Wang Yung-ming, a universal travel adaptor designed by Lin Ting-an, Chen Wei-ming and Chen I-hao, and an automatic rotating barbeque designed by Uncle Roast. Bronze medals were awarded to Lin Ping-hsu and Kuo Chi-chen for a decorative cup carrier, Lin Ping-hsu and Kuo Chi-chen for a paper airplane, Green Energy Nano Technology Co. for blood circulation socks, and Hsu I-chuan for an innovative chopping board. Some of the products exhibited have received orders, and some French companies have made contact with the inventors to explore potential cooperation. Source: Taiwan News; Ju-Tian Eco-Material Co.